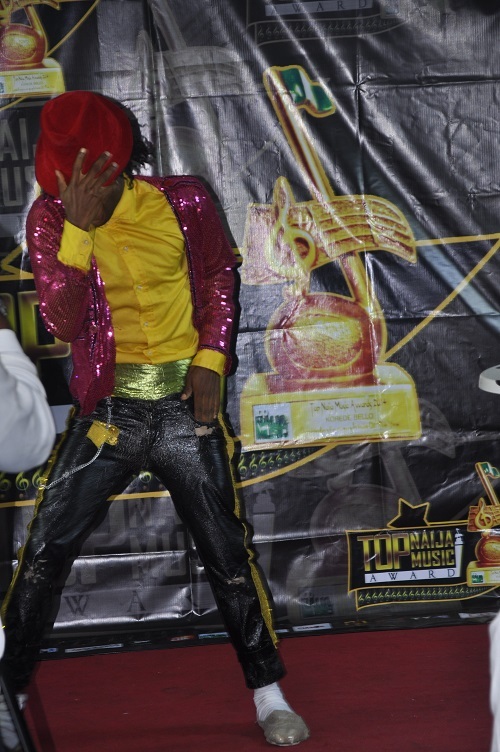 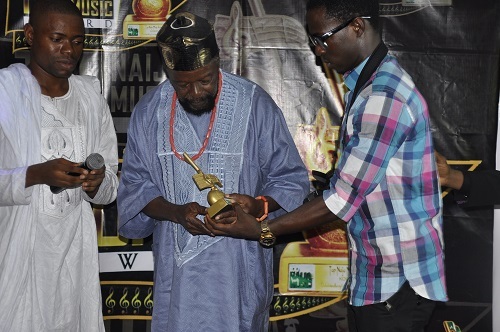 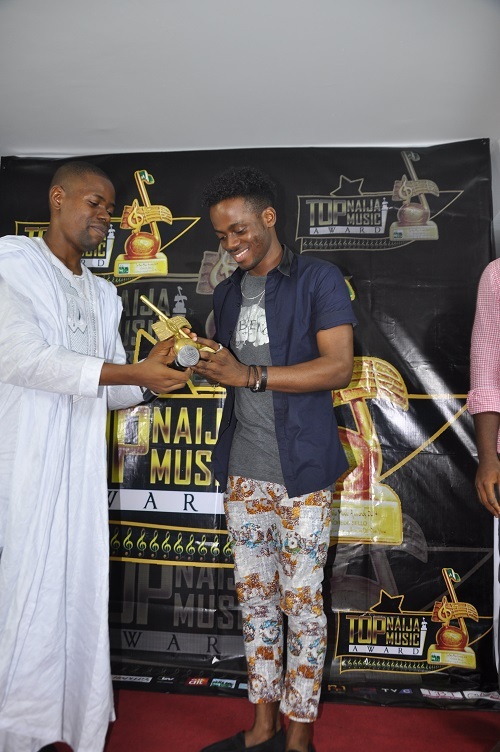 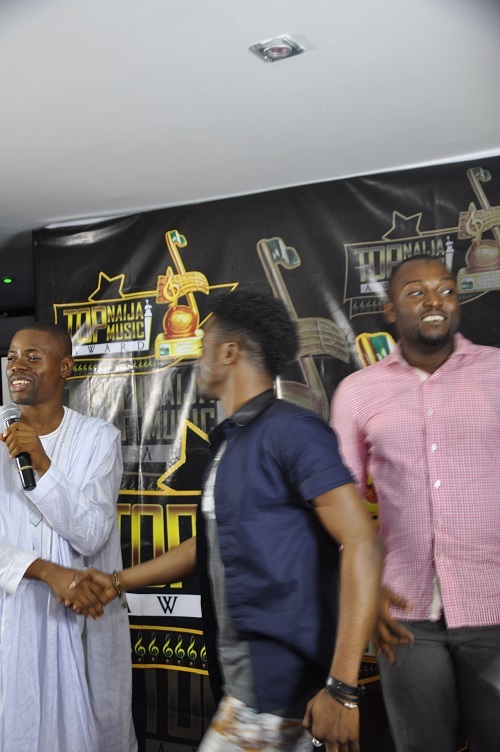 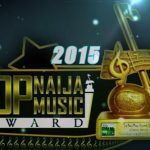 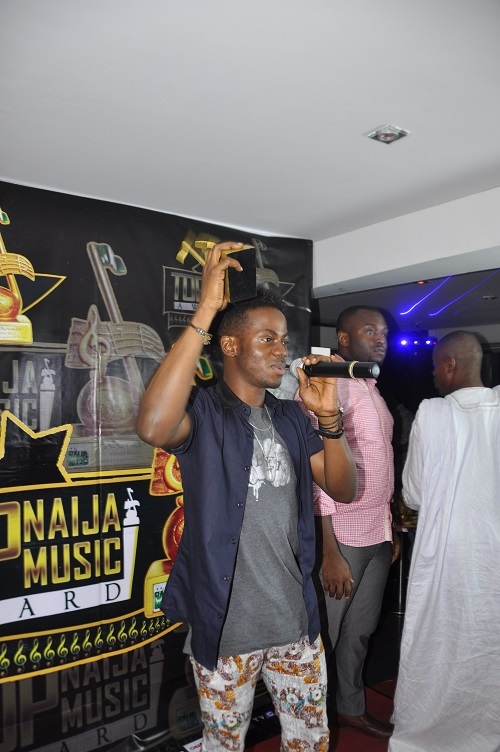 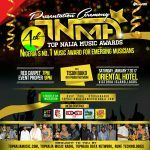 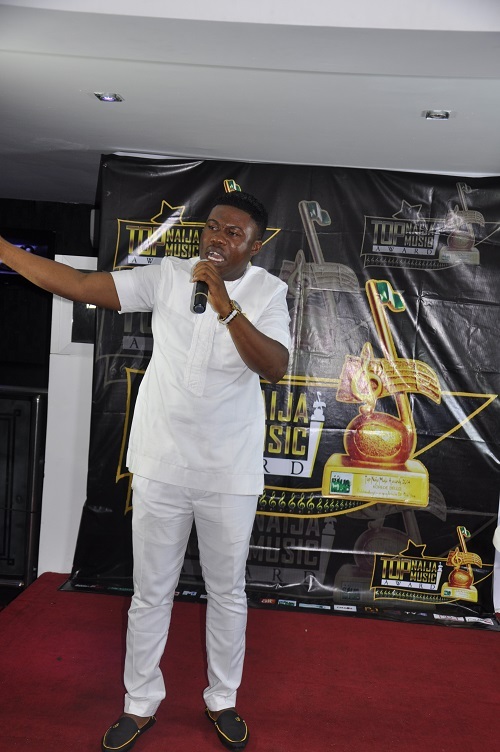 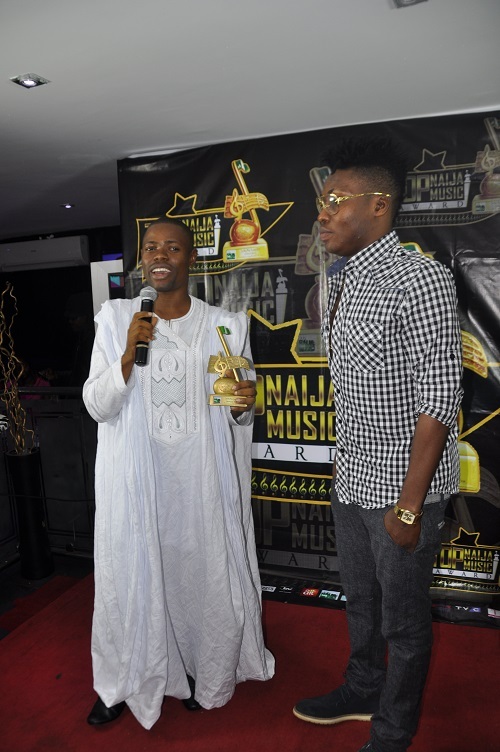 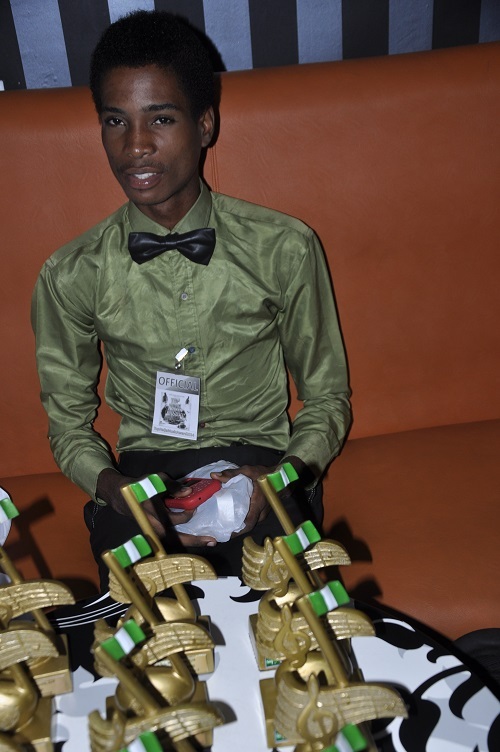 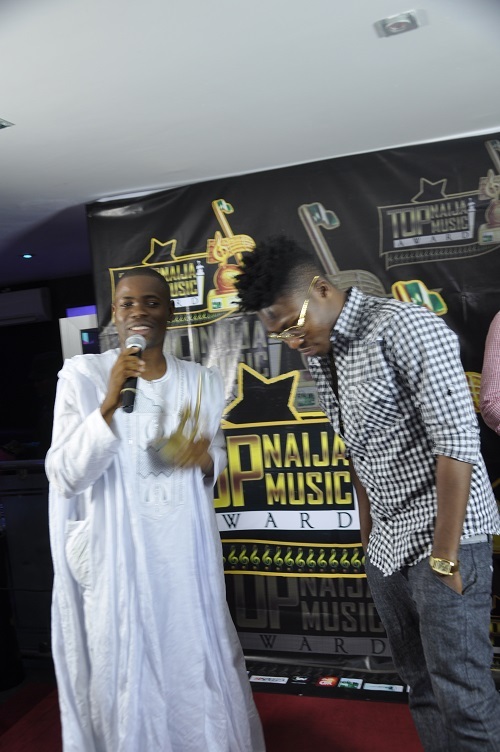 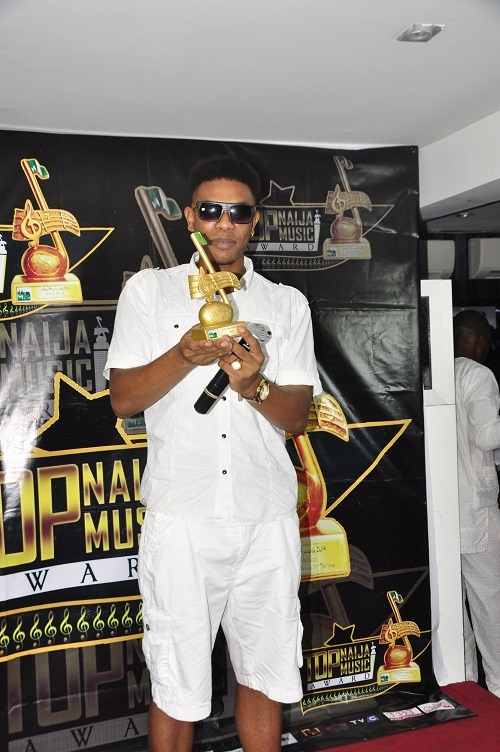 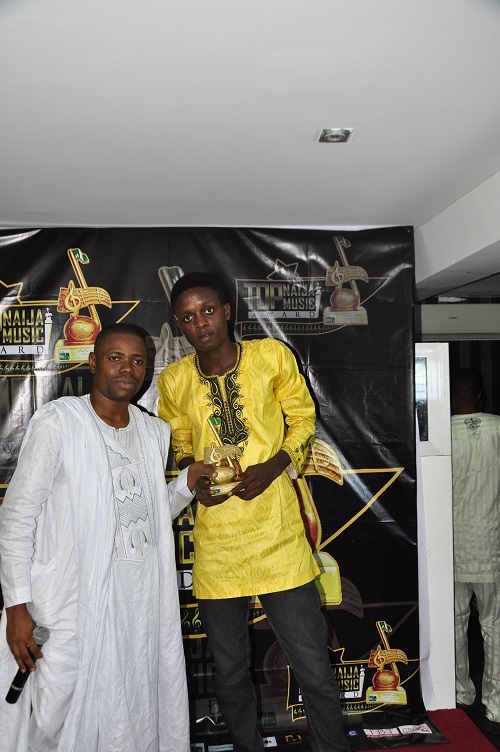 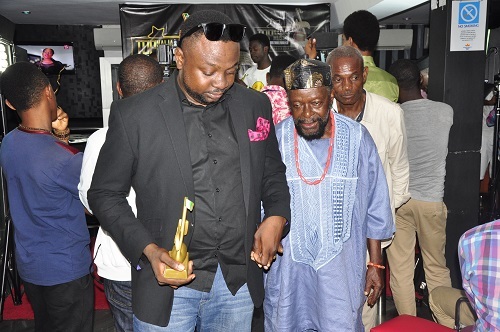 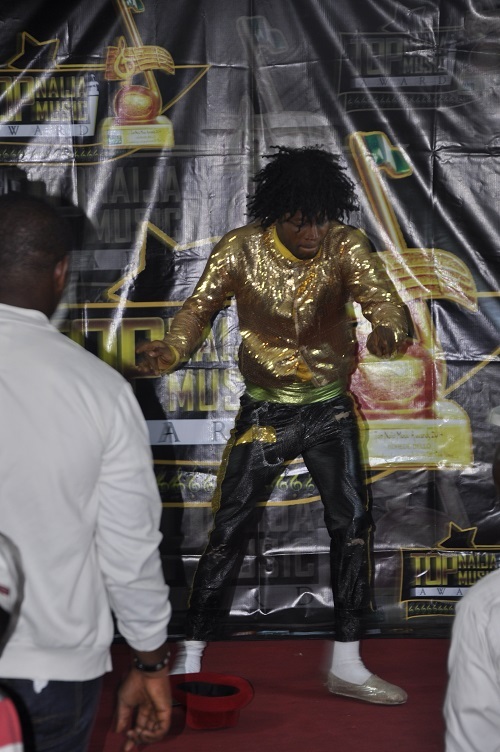 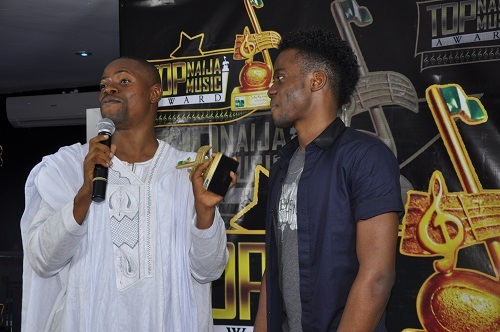 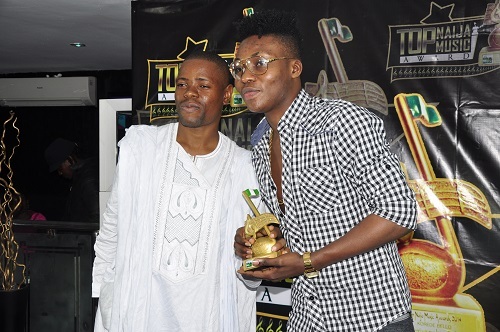 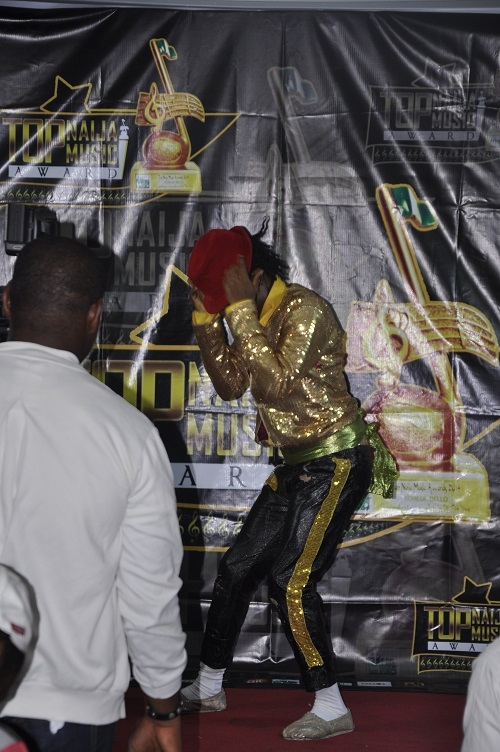 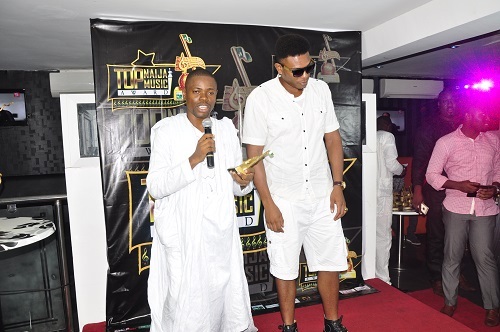 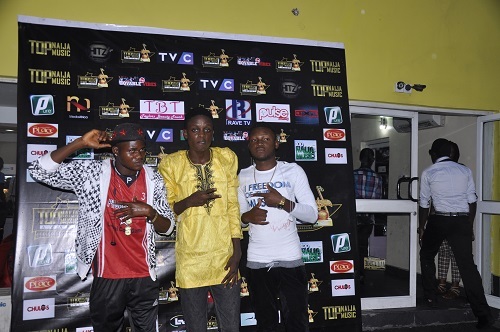 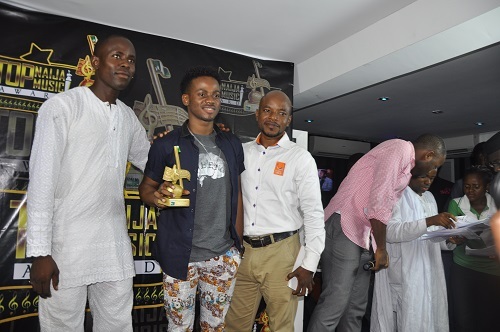 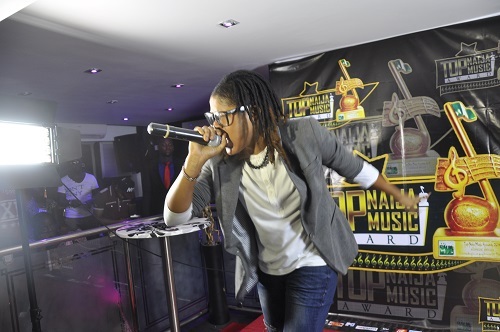 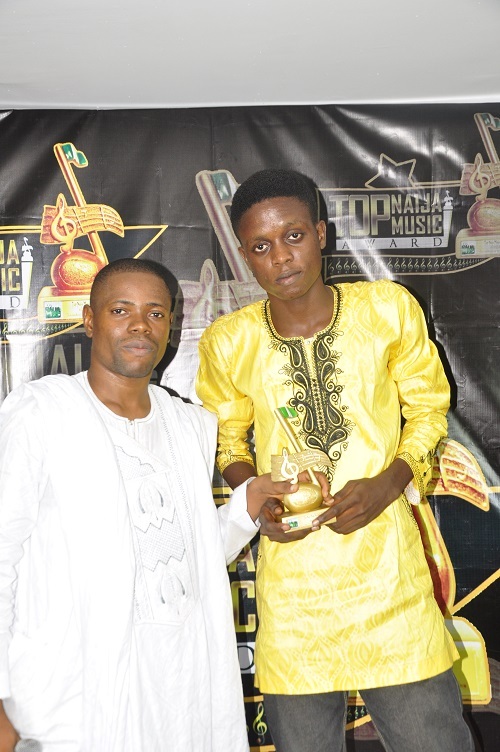 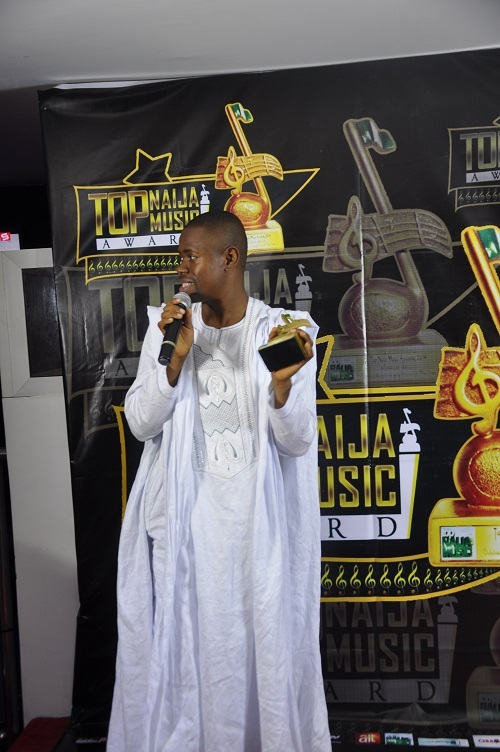 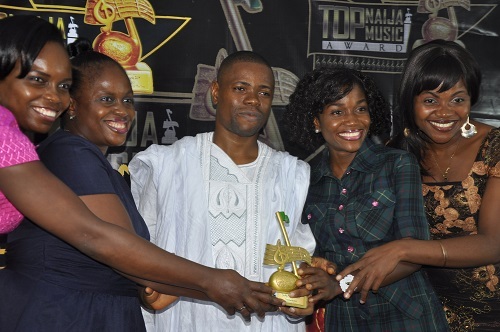 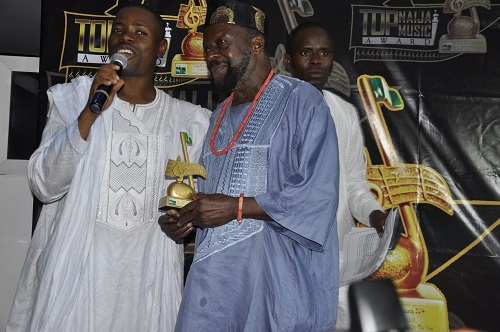 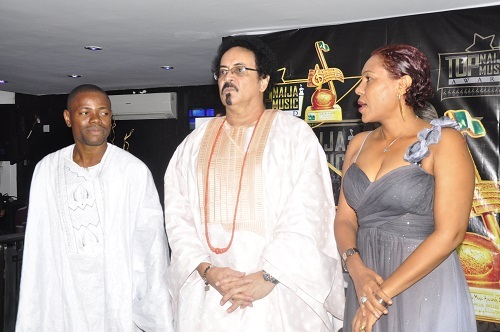 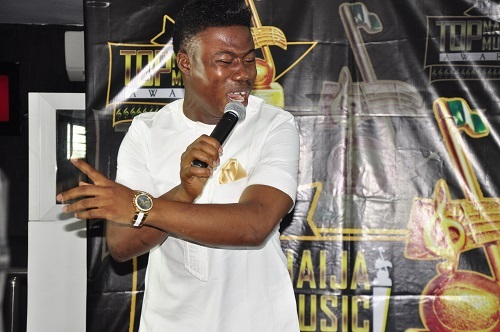 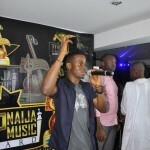 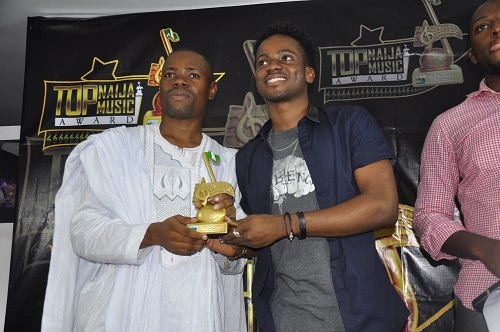 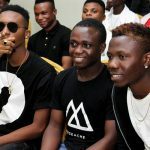 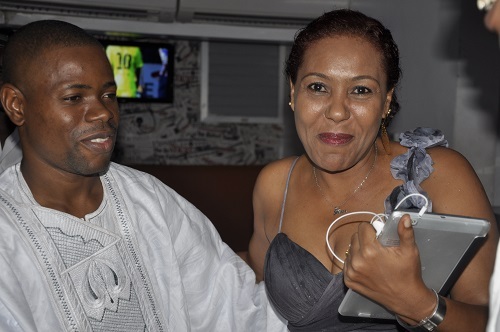 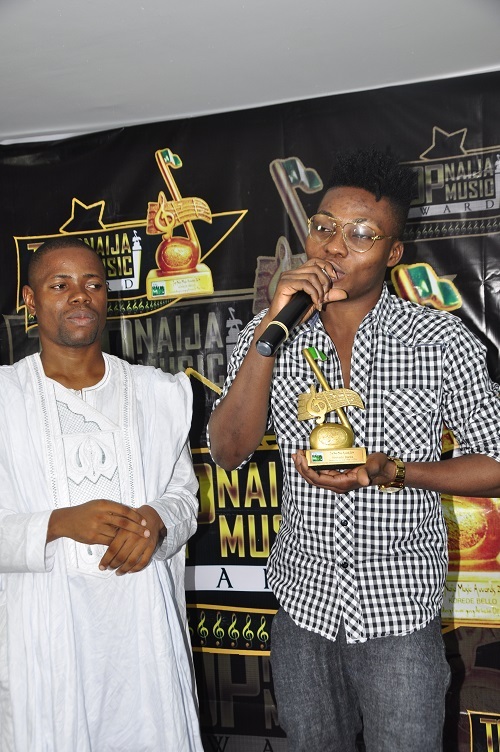 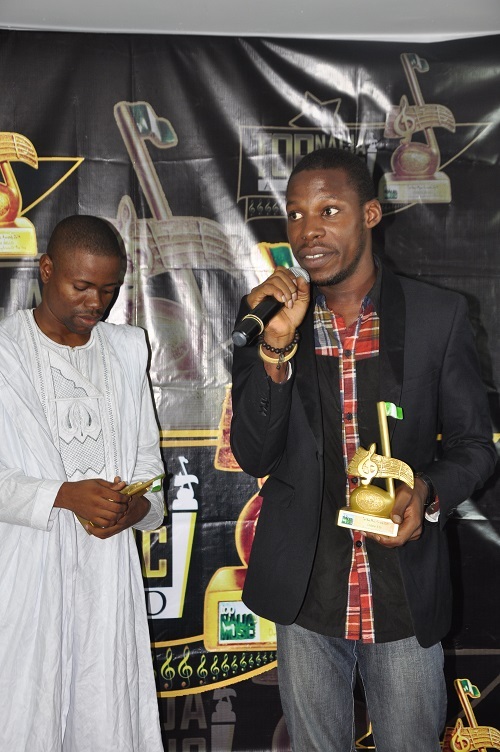 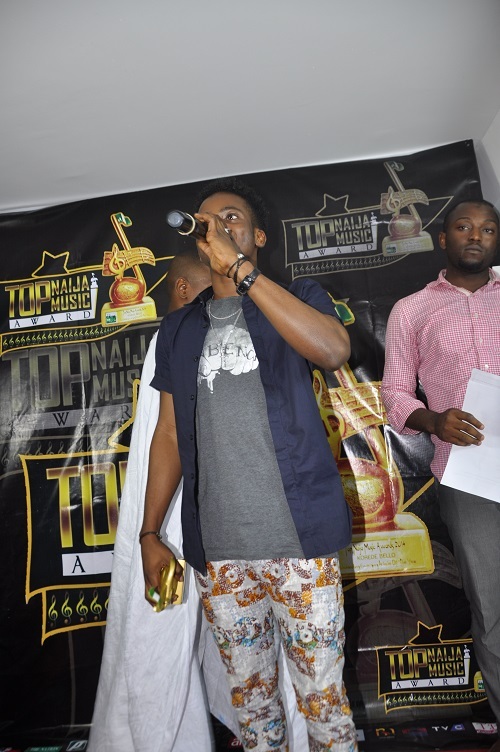 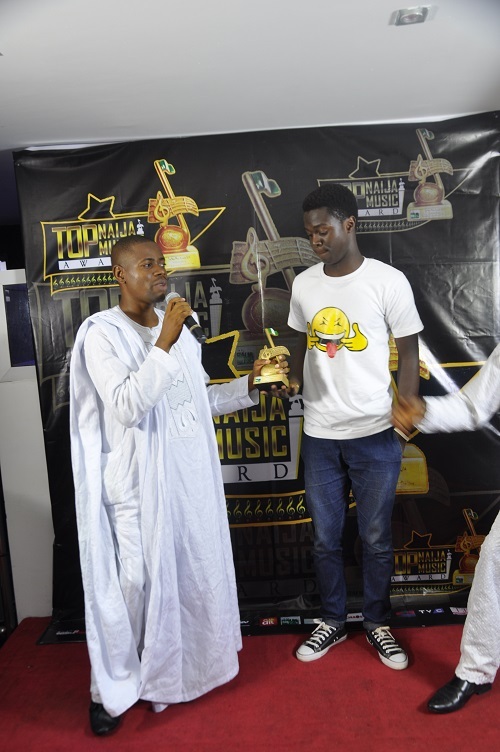 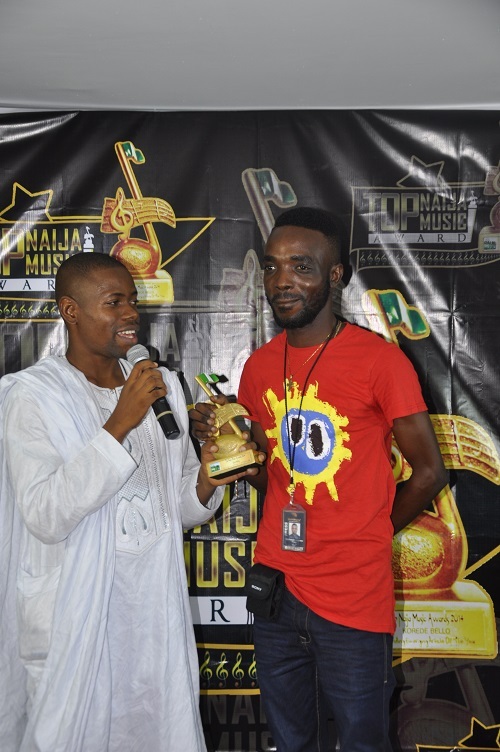 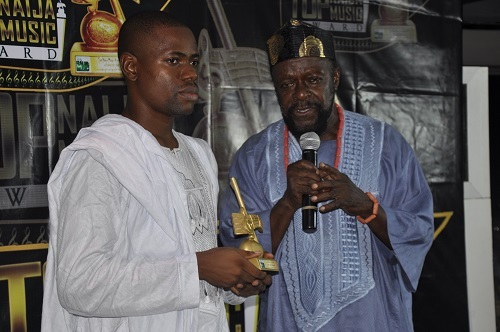 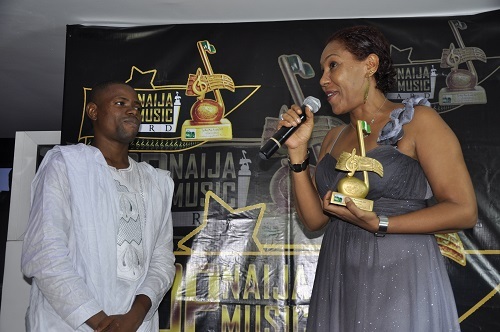 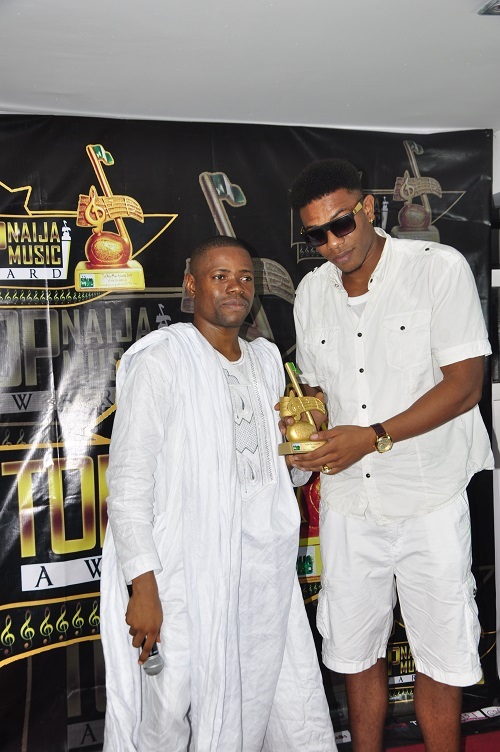 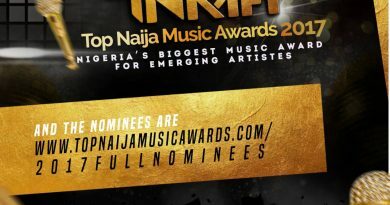 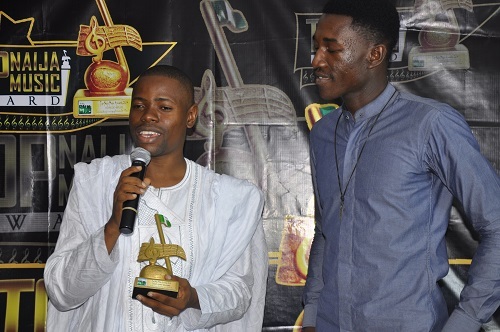 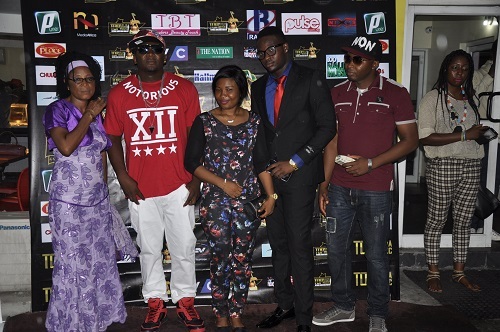 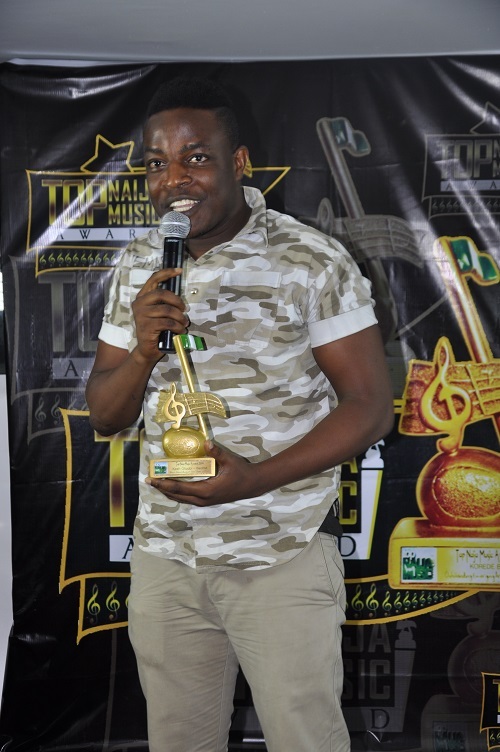 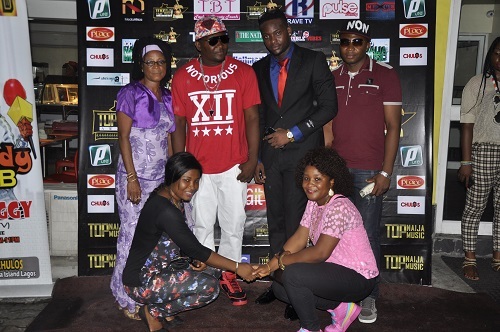 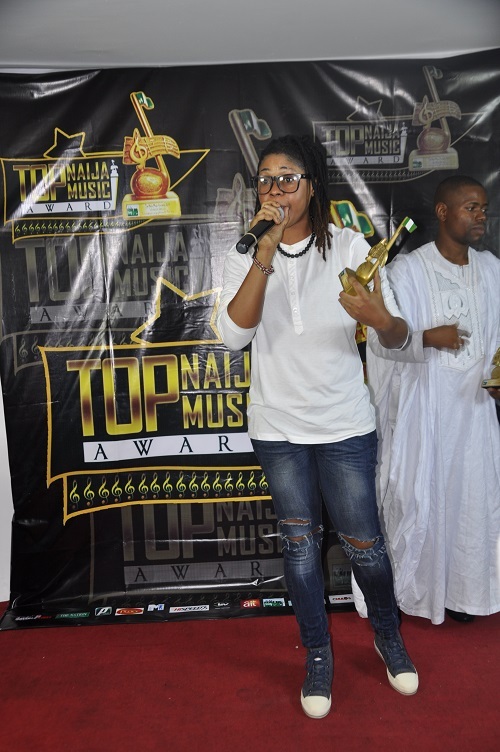 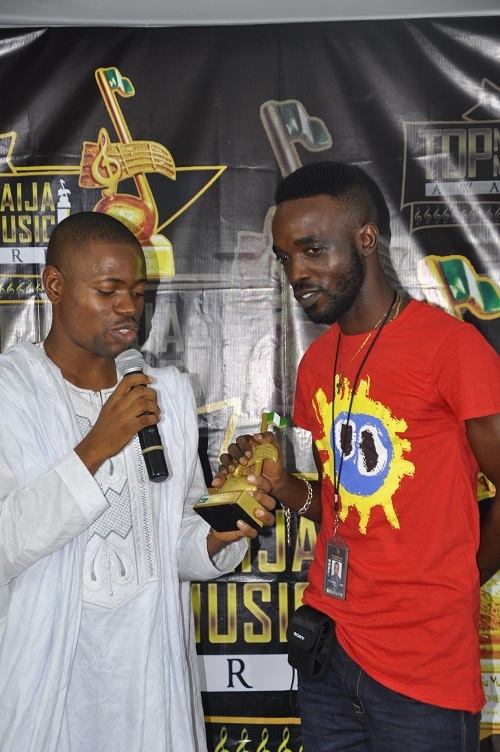 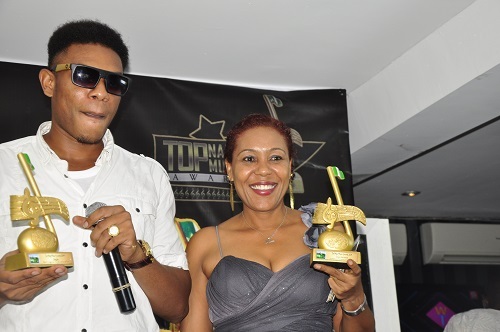 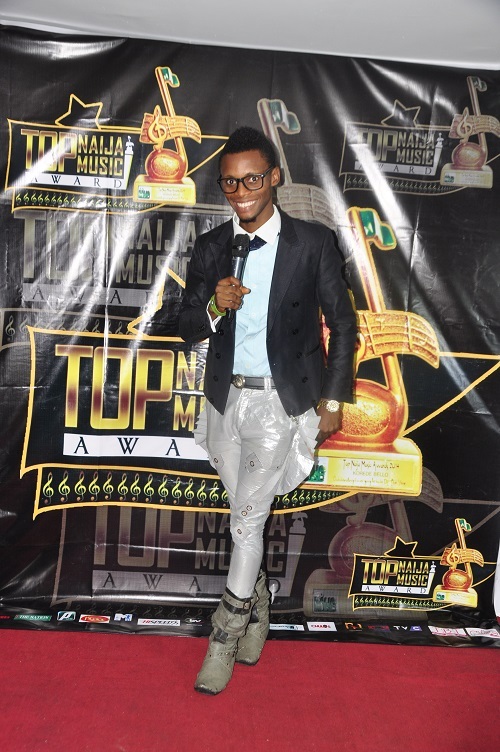 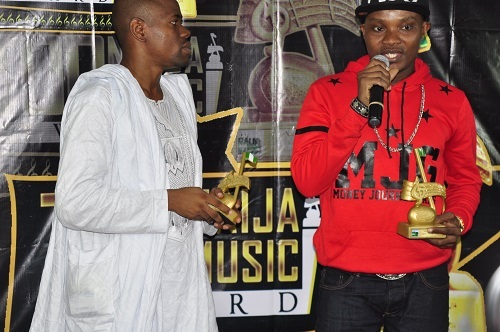 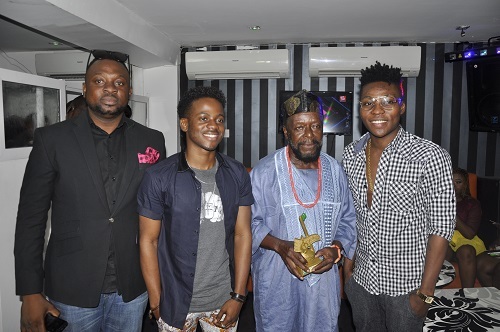 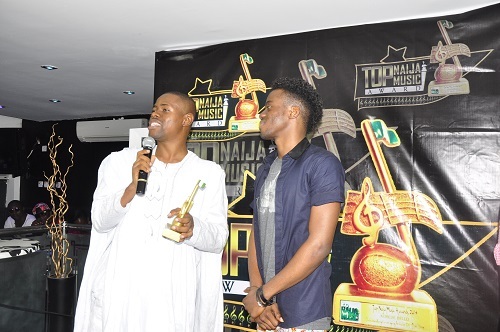 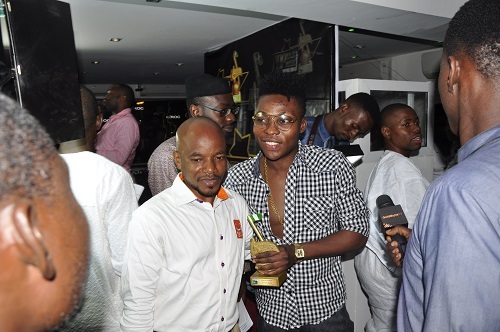 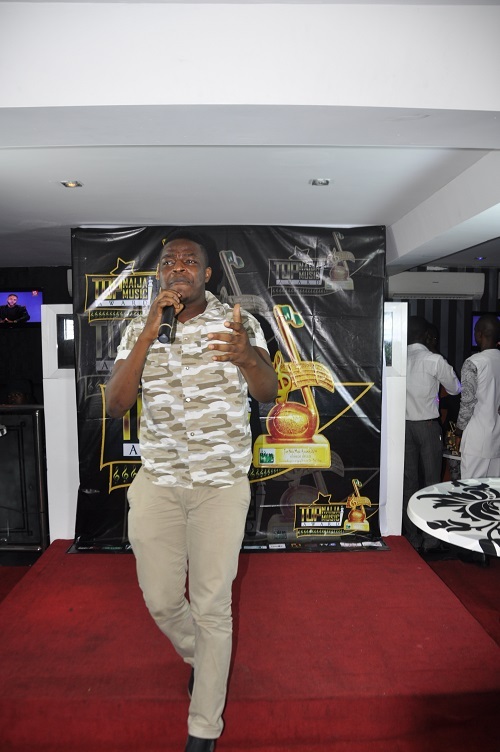 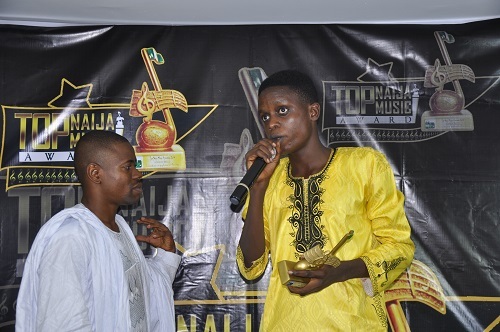 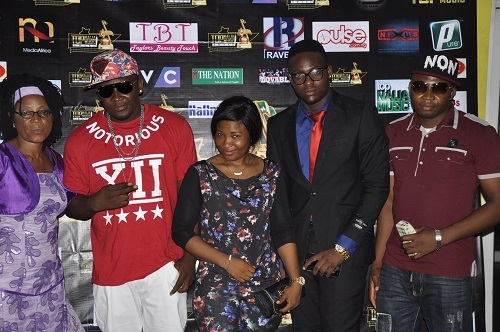 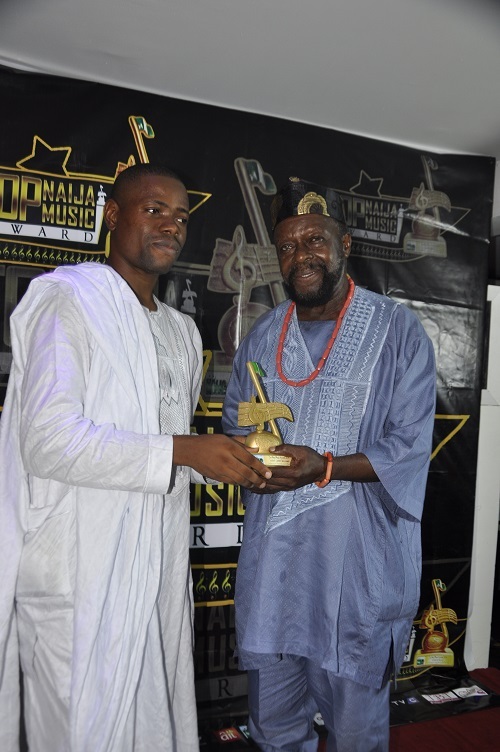 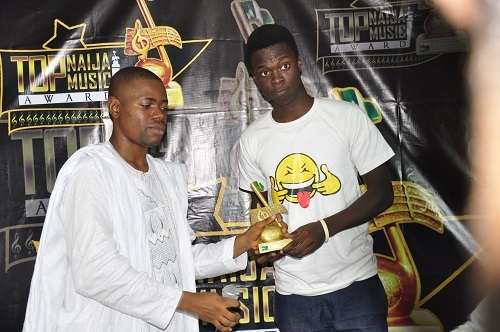 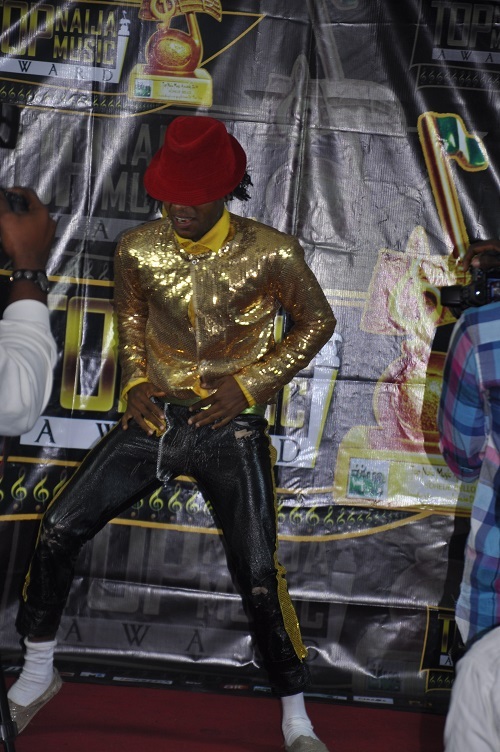 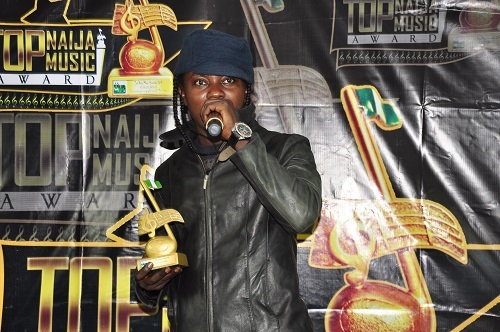 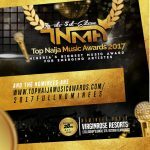 The much anticipated “Top Naija Music Awards 2014 (Upcoming Acts Edition) presentation ceremony took place yesterday the 17th of may at DPlace, Victoria island, Lagos. 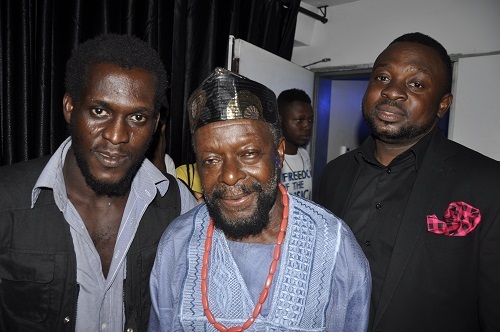 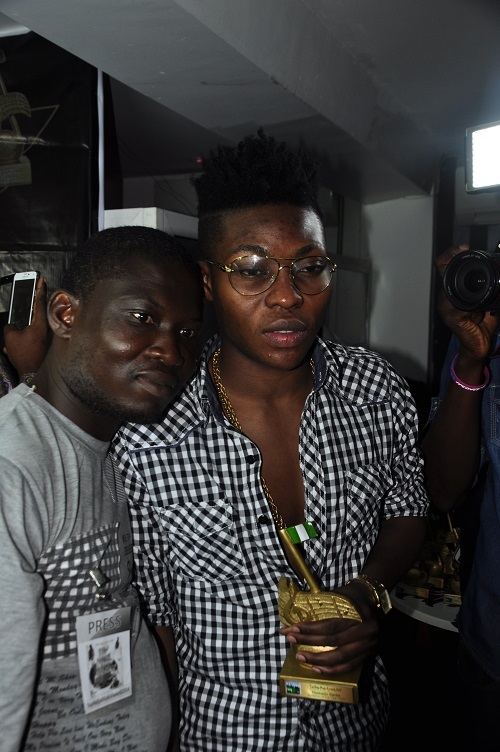 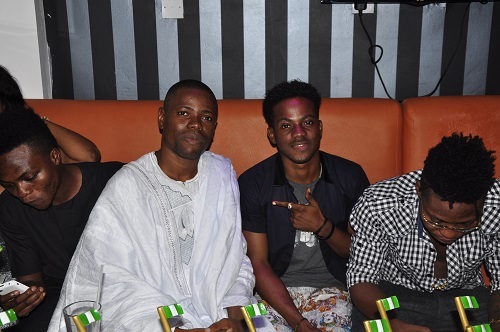 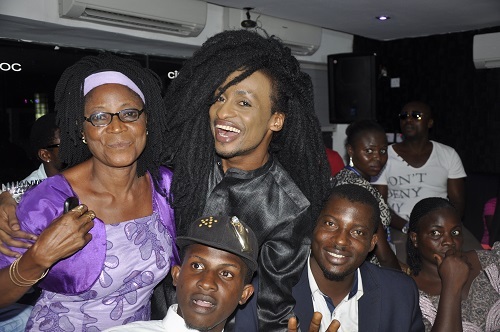 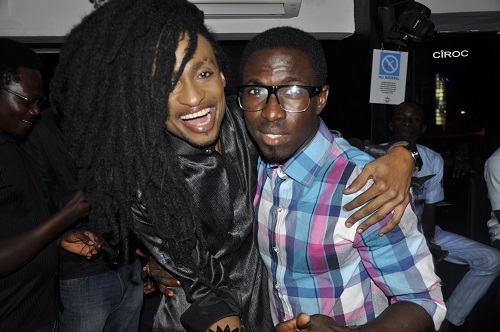 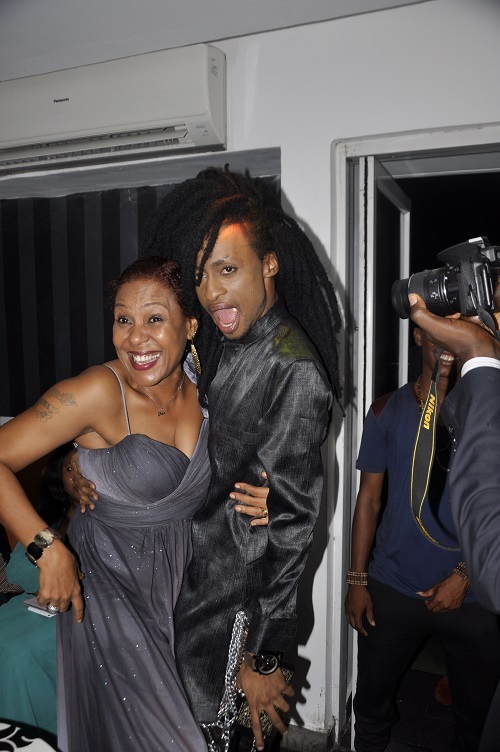 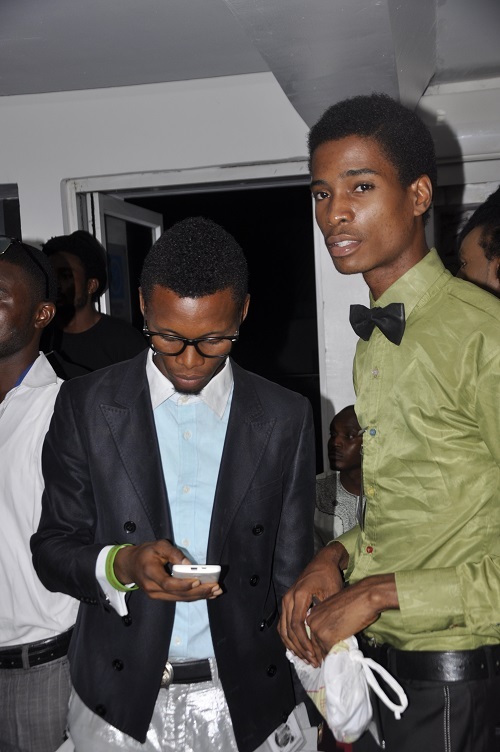 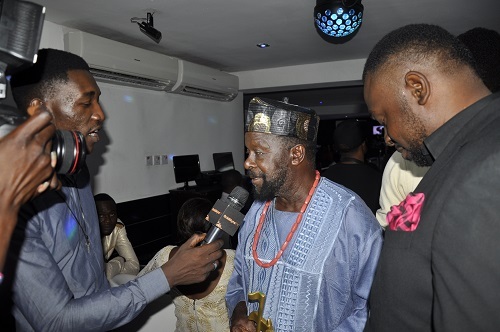 It was a night that saw celebrities from various part of the entrainment industry come together to celebrate the emerging music acts of the Nigeria music industry. 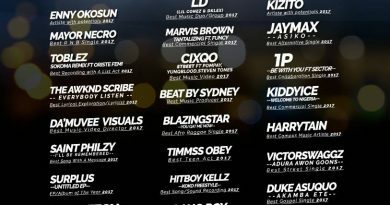 BEST COLLABORATION is TIDYMAN feat CLAY => FOREVER! 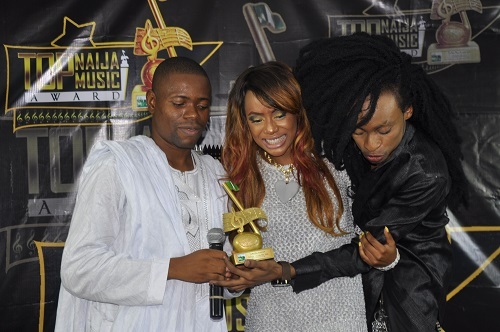 BEST COLLABORATION WITH A LIST ACT is SAEON – BOOGIE DOWN ft WIZKID! 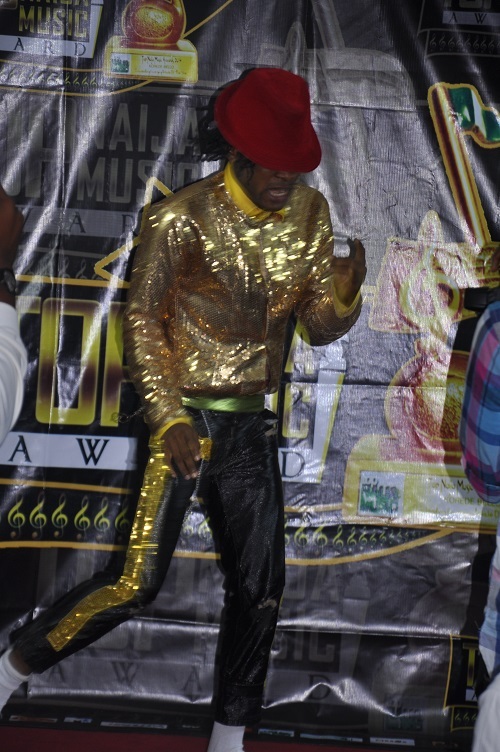 BEST INDIGENOUS SINGLE/ALTERNATIVE – PAMMY JO – AWIGIRI. 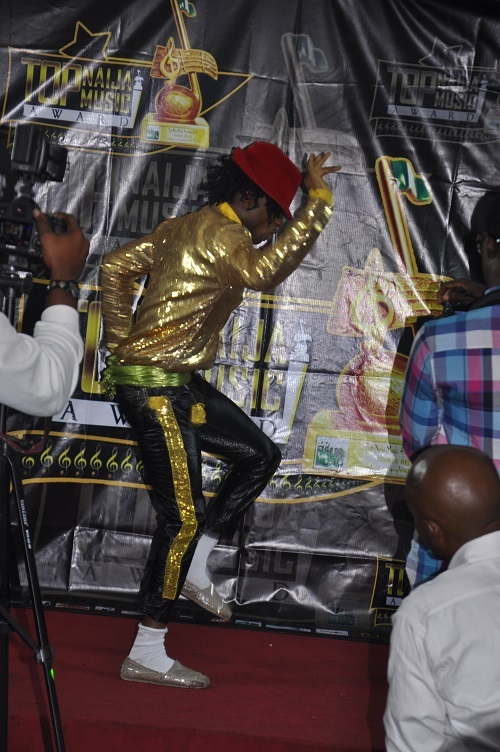 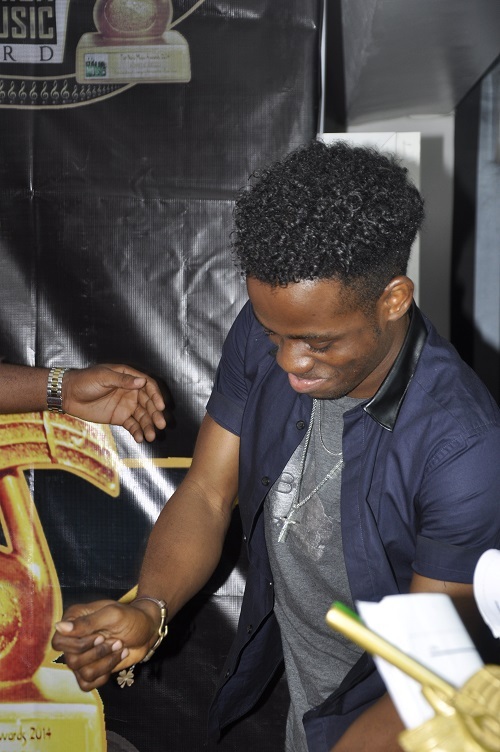 Here Are Exclusive photos below..
Mega Super Star, Korede Bello dancing to the stage as his hit song Godwin is being played by the DJ for the presentation of his award. 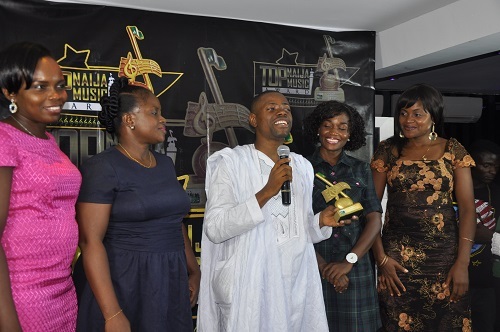 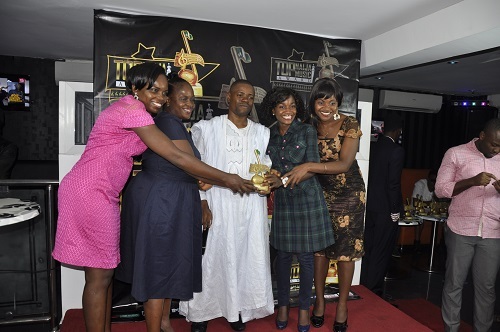 Winners of Best Music Group, TheSwithins receiving their award. 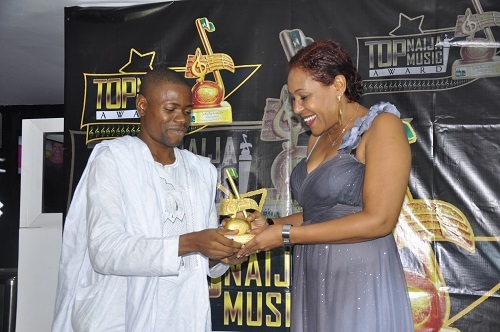 Winner of Best Collaboration Award, Tidyman Man collecting his award. 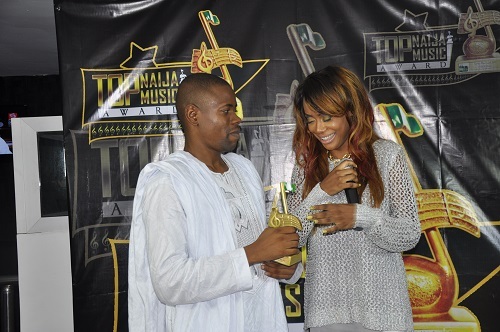 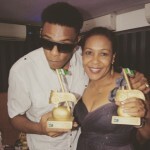 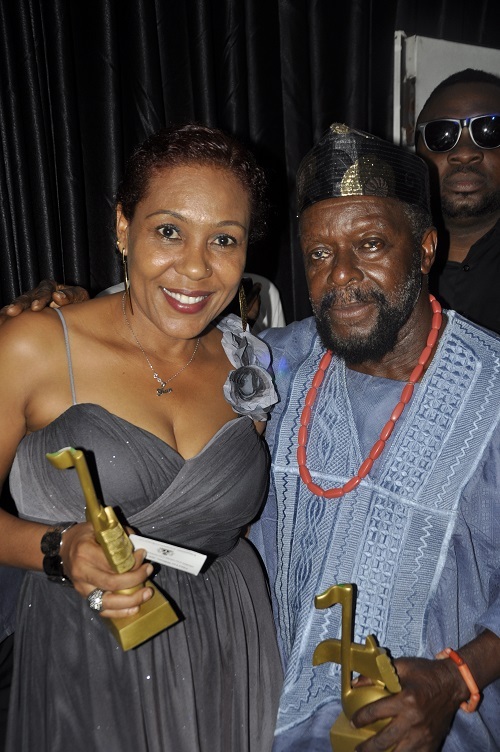 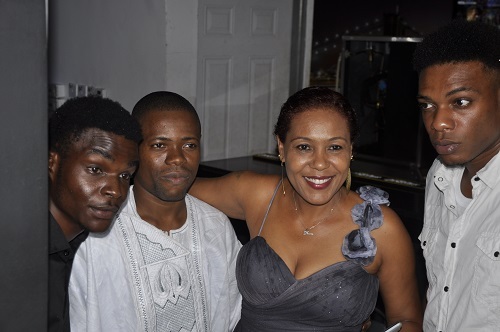 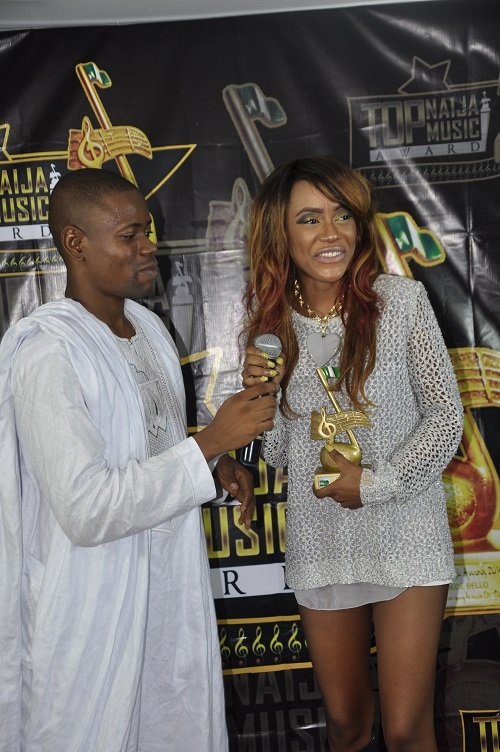 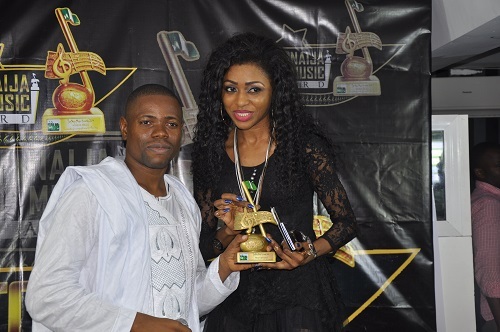 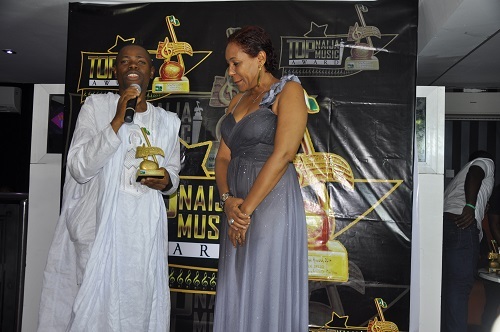 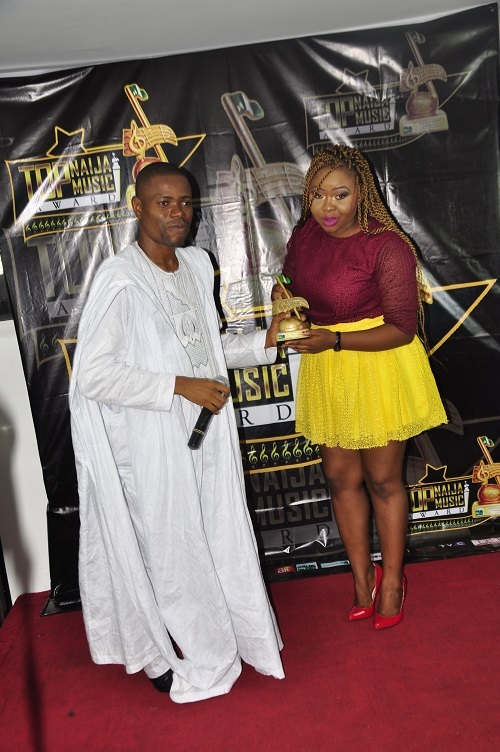 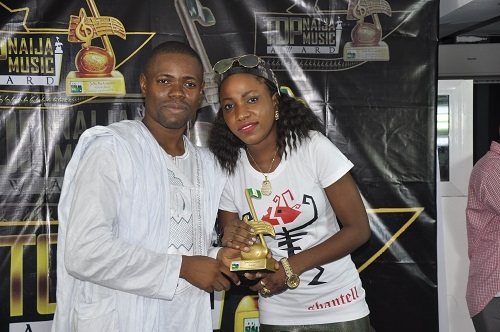 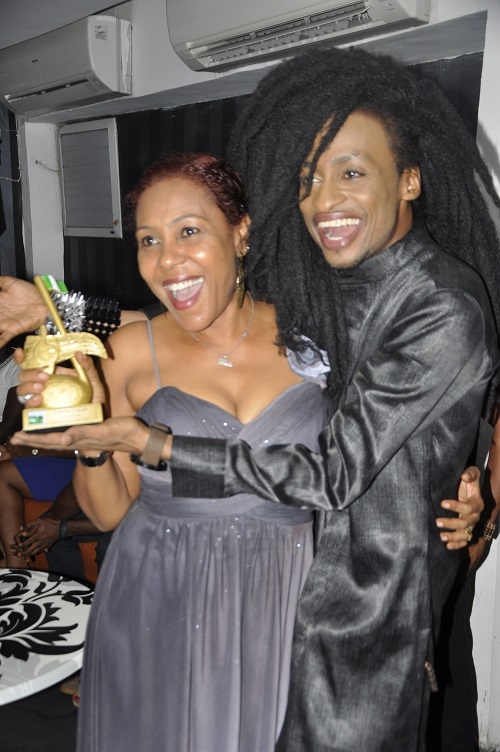 Shuleydee with her Highlife Act With Potential Award.